Who won the gongs in the TechRadar Awards 2010? 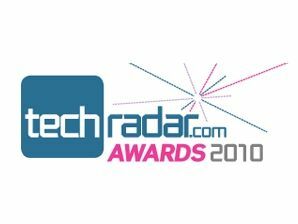 Who were the winners of the TechRadar Awards 2010? Scroll down! We're proud to announce the winners of the inaugural TechRadar Awards, sponsored by Intel, DTS and Qualcomm. And you should be proud too - the awards were voted for by you. Over 75,000 votes were cast by TechRadar readers choosing their favourite tech of the last 12 months. Apple walks away with seven of the 18 awards, but the signs are that it won't be having all its own way during 2010 – the computing categories were dominated by Intel, Microsoft and Google, while in Mobile Communications HTC and the Android Market had a good showing. And the latest version of Apple's operating system – OS X 10.6 Snow Leopard - was beaten hands down by Microsoft's Windows 7, which stormed our software category. The other big winner was the BBC iPlayer, which walks away with our "Most essential online innovation award" as well as being voted the "Most innovative home entertainment platform". It beat some stiff competition in both categories, including Sky+HD, Xbox Live, Spotify and Google Street View.